Come on people, really? You are still using these passwords? Whether user’s have been hacked or not, they still continue to use horrible password combinations that make it easy for hackers to guess or break. 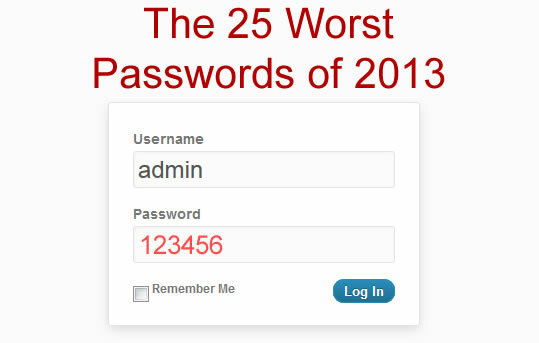 The most popular password was 123456 and “password” was in second. It’s crazy to me that people would use these passwords. The sad part is, they use them for secure logins and not just accounts that don’t mean much. The list from SplashData was compiled from the millions of stolen passwords last year that were ultimately made public.